Mailbag: Failing Omega X-33 LCD Display? – I Already Have a Watch. I’ve not heard of that problem occurring widely with the LCD displays on X-33s. I hate to say it but it sounds like the module/movement might need to be replaced as I’m not sure the LCD display is available separately. 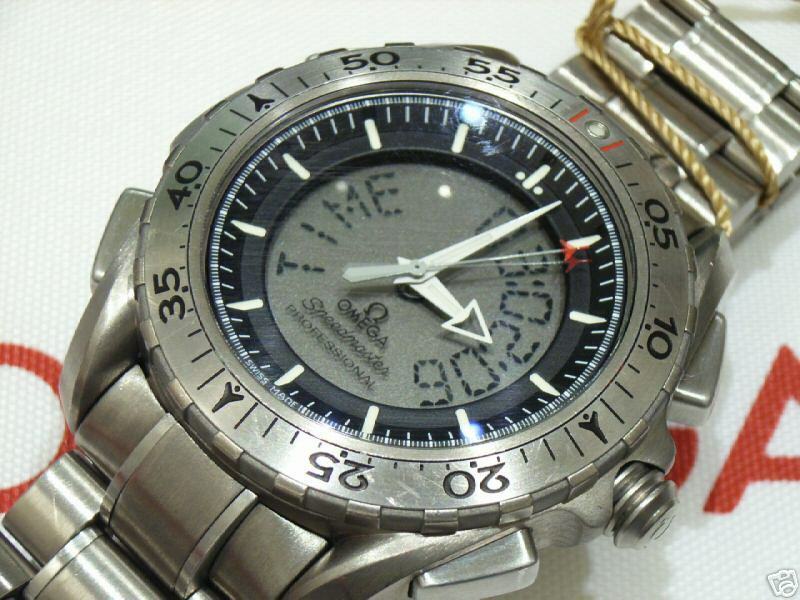 For a problem like that, only Omega or any Swatch-authorized repair center would have the parts and expertise. You might try using Omega’s page to find someone local, or else Womble Watch works in Marietta, GA: (770) 952-1812‎. If you do wind up sending it to Omega, I’d strongly recommend skipping the service center in NJ and forwarding to Switzerland directly. Some reports of very spotty service coming out of NJ and the pricing is comparable anyway. The 80dB alarm is an X-33 unique feature made to NASA’s specification request. The power and space requirements of the alarm account for much of the X-33’s shape, size, and design, as well as the relatively huge power cell and unique hollow caseback (try listening to the alarm from the back!). I’m not aware of any other watches from mainstream makers that have anything that approaches its volume. I did have a watch once received as a gift that was designed for handicapped persons that made a crowing rooster noise that I remember being loud as hell, but I don’t know if it was quite so loud. Tagged with nasa, Omega Watches, X-33. I recently had the same problem. I have the first generation 33 and after the first battery replacement I did not get the proper seal and just changed the battery. Just recently while away in Jamaica went snoorkling and seen the LED go partially. It was still keeping time until my return days later. Once I took it to the repair they replaced the battery but no LED display. They soon told me I would need a new “movement”, I guess this is due to the fact that the LED is directly attached to the movement. They are charging me 457.00 for the repair. I will be calling them on Monday to give them the go ahead. would you happen to have the caliper part numbers used for our model to order the movement? I wanted to do research and price it onlyne. Sounds like water intrusion into the case, and as with many quartz modules/movements replacement is often the most reliable, expedient and cost-effective solution. The caliber number is 1666, but I don’t recall ever having seen it sold online direct to consumers. Keep in mind also that replacing only the LCD display may not completely address the problem even if there are underlying faults with the electrics as a result of salt water intrusion.